Marketplace Reservation System Coming Soon! Check back soon to be able to reserve your slot and pay your deposit online. The Wakandacon Marketplace is back! The convention is held at the Hyatt Regency McCormick Place in Chicago IL from July 26, 2019 to July 28, 2019. Doors open @ 9 AM on Saturday and Sunday for set up. Doors to exhibit hall will be locked on Friday and Saturday at close of conference. Wakandacon reserves the right to make changes concerning the Marketplace the day of the event. That includes but is not limited to: exhibit hours, initial plans and layout. A complete Vendor Service Kit will soon be made available with all rules and regulations. 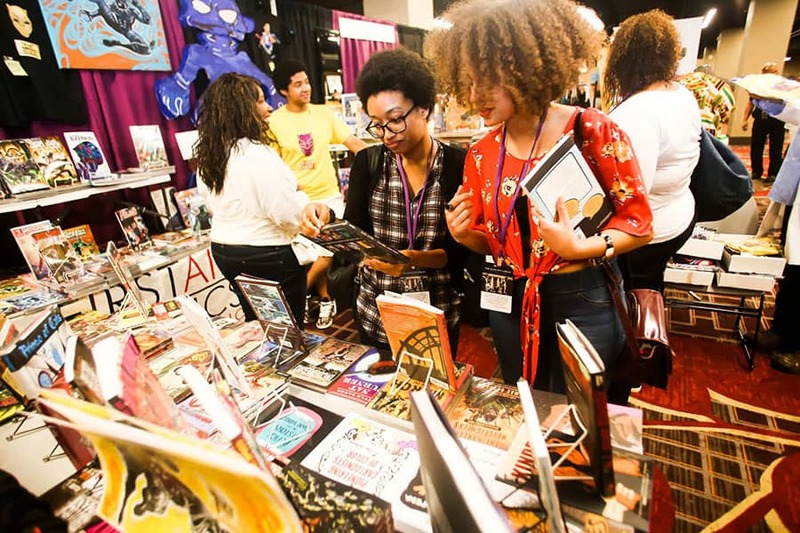 If you’d like to exhibit at the Wakandacon Marketplace, please fill out the following form and we'll get back to you right away. If you have other questions please feel free to contact us at [email protected]. What products or services do you intend to sell? Will this be your first convention exhibition? Are you a black-owned business? Are any of your products adult only? Are you available both days of the event? Do you have any extra vendor needs?